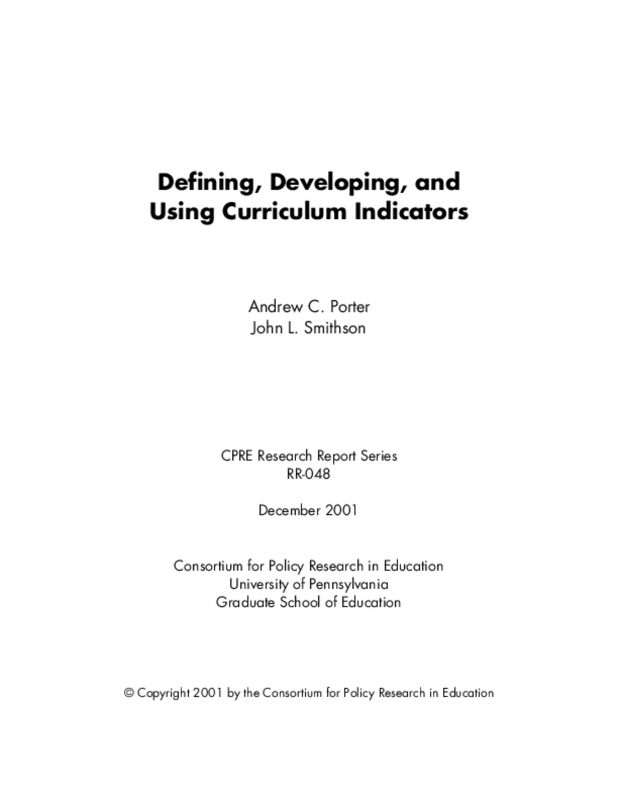 We begin with a brief review of the lessons learned in the Reform Up Close study, a Consortium for Policy Research in Education (CPRE) project funded by the National Science Foundation, then discuss the central issues involved in defining and measuring curriculum indicators, while noting how our approach has developed over the past 10 years (1992-2002). This is followed by a discussion about using curriculum indicators in school improvement, program evaluation, and informing policy decisions. Copyright 2001 Consortium for Policy Research in Education (CPRE).